Prayer can change YOU, and when you change, you make the world change how it relates to you. The Women's Ministry invites you to join us as we meet and share with other women of the parish. 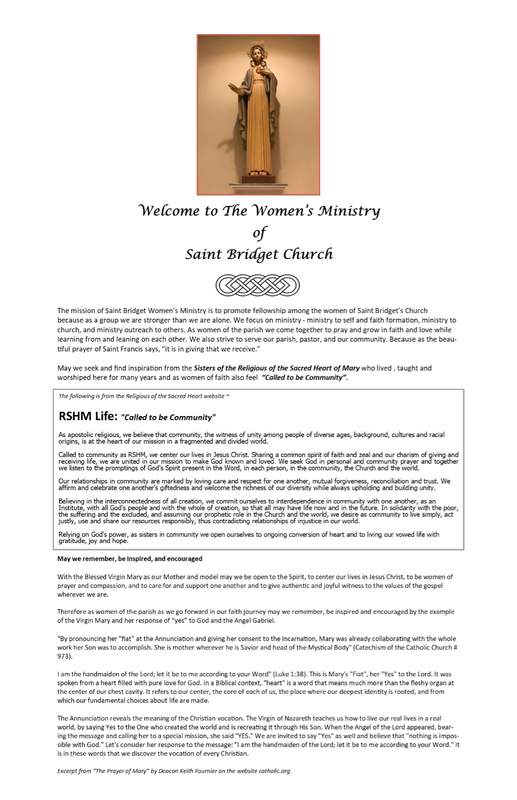 As women of the parish it is our hope to find new and meaningful ways to engage, serve and support each other, our parish and community.